DOUBLE TAKE: Actors vibing on the set of Wilkinson's Heart of the City. DURING our interview with actor Everaldo Creary (who costars in Yardie) a few weeks ago, he made the observation that as a film industry, we are still young in expressing our stories. We agree wholeheartedly, but it’s the industry’s small triumphs, ever on the increase, that inspired this month’s Film & Theatre Issue, our annual salute to Jamaican show business. 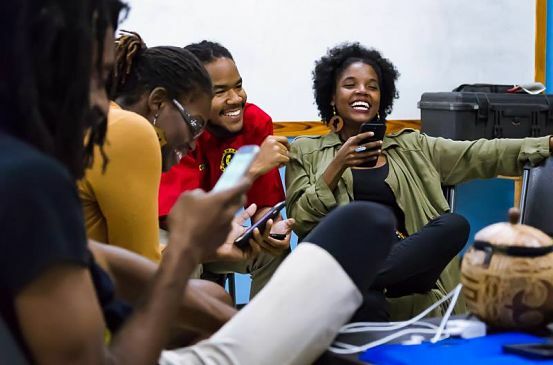 For one thing, the Jamaica Film Commission ought to be applauded for the ongoing efforts to make Jamaica the film destination of choice in this part of the world. Major Hollywood players, from Idris Elba to Eric Roberts, have visited our shores in recent times for projects and, by all accounts, many more are on the way. The home-based Propella Initiative, which provides funding for talented filmmakers to showcase their work to an international audience, is flourishing, as it should, and we look forward to seeing the projects from the latest crop of finalists. Great things are on the horizon – from the shooting of the book-to-screen adaptation The Mango Girl to the release of Maya Wilkinson’s foray into feature film, Heart of the City. But no forthcoming project is more avidly anticipated, long-awaited than Storm Saulter’s Sprinter, which is scheduled for a world premiere this summer. As its leading man, Kadeem Wilson (“His Time Now”), tells us, it’s a must-see that captures a heady mix of athletics and Jamaican culture. Our cover star Glen Campbell (“True Original”) is a veteran of the stage, but he’s no stranger to film, having done such classic screen work as the 90s hit TV series Titus and, more recently, the 2016 short Shoot the Girl. Orville ‘Shaggy’ Burrell is appearing in the new Netflix movie Game Over Man and Jamerican star Adjani Salmon recently won raves for his web series Driving Whilst Black. 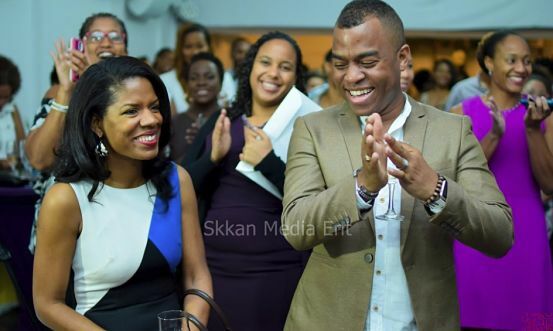 So the Jamaican film industry has no shortage of talent to draw from as we advance toward a future, where the possibilities for growth and development are endless. So Everaldo is right: our movie industry is still young and small, but we are making great strides. THE MUSIC MAN: "I am enjoying this time of my life," shares the actor and new grandfather who just added another Actor Boy trophy to his collection. Celebrating three-and-a-half decades of starring in stage hits, Glen Campbell is still at the top of his game after all these years. But there’s much more to him than accolades and wooing audiences. In a TALLAWAH exclusive, Campbell (currently starring in Right Girl, Wrong Address) dishes on his DJ skills and life at home with the family. Sure enough, his turn in Right Girl, Wrong Address (now playing at Centrestage) saw him returning to the race yet again. In the brilliant play, penned by Patrick Brown, Campbell plays Ricky Pine, who runs a music production company with his kid brother Adam (played by Akeem Mignott). Ricky loves his liquor, and it’s one of the most fun aspects of the character for Campbell. “I enjoy playing Ricky. I mean, I’ve played drunks before and the best part is finding the nuances each time that are different from anything I’ve done before. But this one is a constant alcoholic, which made the character a lot more fun to play,” he explains one evening at Centrestage after wrapping another performance. For costar Keniesha Bowes (who plays Nicey, a feisty cleaning lady who catches Ricky’s eye), Glen is simply “the best”, an actor who moves between the comedic and the dramatic with relative ease. Rosie Murray, who did numerous projects with him back in the day (including the 90s television hit Titus) looks back on those days with fond memories. “Filming Titus we had so much fun, especially that Gilbert episode. Glen has always been amazing fun and very, very disciplined. Those were the good old days,” Murray tells us over the phone, even recalling their very first collaboration, for a Barbara Gloudon-penned piece called Rabbit Punch at the Jonkanoo Lounge. Of course, Glen, too, looks back on his halcyon days in showbiz with memory-lane fondness. What was he like back then? “I just remember my youthful exuberance, thinking I could do everything and play everybody’s role, to my own detriment at times,” he recalls, with a little laugh. But up to last season, in Frank the Freak, Campbell was tackling multiple roles with mucho gusto. Fresh, funny, with expert comic timing. What keeps him going after all these years? “My audiences. Regardless of the fame and the popularity, the travel and the income, it’s my audiences. The man on the street who comes up to me to tell me about a show he saw years ago and can’t forget,” he says. Acting is also therapeutic for the leading man. “Even if I’m having a bad day, just coming to work and going on stage makes me feel totally different. Once I go on stage, the bad feeling and the stress just disappears,” he tells us. Another source of therapy? Music. In case you didn’t know, Campbell is a part-time disc jock (we didn’t get to ask if he has a musical alter ego), who has been honing his skills and playing more and more events in recent times, even collaborating with big shots in the game like Winston ‘Merritone’ Blake. “It’s another great love of mine. I’m usually playing with Merritone on a Monday night. We’ve done shows at The Deck and 100 (the new Hope Road hotspot). 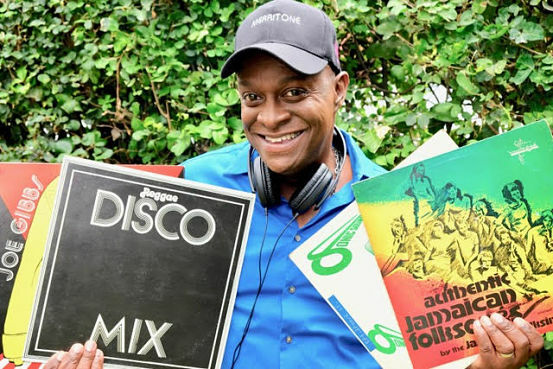 I work out my new mixes at home, so I have a lot of fun at these gigs,” says Campbell, who continues to add new DJ equipment and albums to his stash at home. It’s a home he shares with Maxine, his wife of just two years. They made a rare public appearance at the Your View Awards (YVAs) last month, and a lovely picture of the couple was snapped for Page 2. Recalling their wedding day, Campbell says it was “a low-key affair” attended mainly by relatives and close friends. A devoted patriarch, he enjoys tending to his blended family (including two stepchildren). 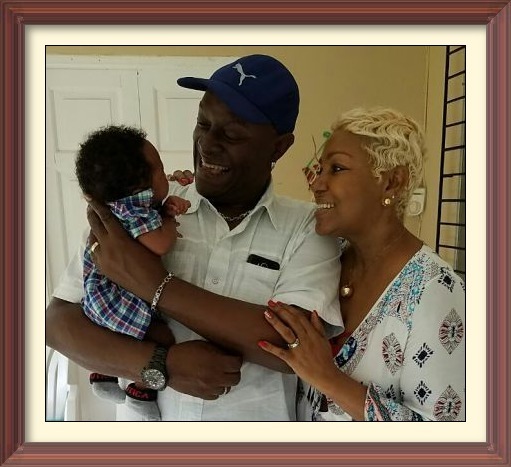 In December, his 28-year-old daughter Chaynae gave birth to her first child, a son – Glen’s first grandchild. Glen Campbell will be the first to admit that he has a lot to be grateful for, not least among them his healthy, beautiful family and a career in theatre that keeps rewarding him. (At press time, he was named Best Supporting Actor for Right Girl, Wrong Address at the Actor Boy Awards.) “To see how much he’s grown, I remember those early years with pride,” says Rosie Murray. It’s these kinds of acknowledgements that make Glen (who now serves the 20-year-old Jambiz Productions as an administrator) feel truly accomplished. He lives to make his patrons and his peers proud. And he’s still as passionate about the work as when he just started out. That perhaps explains why the accolades keep piling up. “Being nominated almost every year now for the Actor Boy Award says something about the level of work that I’ve been producing,” offers Campbell, whose tally of productions now surpasses the #70 mark. 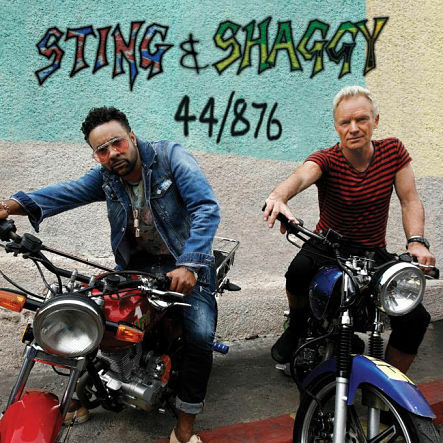 EASY RIDERS: Shaggy and Sting have got your number. JANUARY’s renewal of the Shaggy & Friends charity concert was memorable for several reasons, chief among them the addition of Grammy and Oscar winner Sting to the lineup for the first in the show’s decade-long history. It was at Shaggy & Friends that Sting and Shaggy, joining forces on stage, revealed their plans to release a collaborative album. They’ve made good on their promise. 44/876 (A/M and Interscope Records), which also comes with a deluxe version, is scheduled for release on April 20. “Don’t Make Me Wait” is the album’s lead-off single. 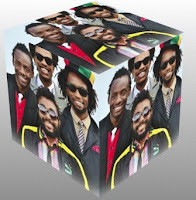 The album, a mélange of styles and sounds (reggae/dancehall flavour, pop sizzle, funky grooves), was recorded in Jamaica and New York, with the powerhouse duo being joined in the studio by various collaborators (musicians, writers, producers), such as hitmaker Robbie Shakespeare (Sly Robbie), deejays Aidonia and Agent Sasco, roots-reggae ambassadors Morgan Heritage, Branford Marsalis, Shane Hoosang and Sting’s guitarist Dominic Miller. The iconic recording artists, representing two dynamic cultures: British and Caribbean, will be extending the collaboration by embarking on a joint European tour this summer. But before they hit the road, they have booked a handful of television spots, including appearances on Live with Kelly and Ryan (on April 24) and The View (on April 25). MARY, DID YOU KNOW? Acclaimed actress Rooney Mara is cast in the central role. THERE is a scene in the new movie Mary Magdalene in which Mary’s older brother Daniel (Denis Ménochet) almost drowns her, casting out the demon that has so obviously possessed her because of her refusal to marry the man her father has selected for her. It’s one of the most telling moments in this thin but provocative feature centred on one of the most complex, seemingly misunderstood women in Biblical lore. Mary is played with endless warmth and steely resolve by multifaceted actress Rooney Mara (Carol, The Girl with the Dragon Tattoo). Directed by Garth Davis, the movie not only attempts to rescue Mary’s story – (the lie that she was a prostitute persists to this day) – it highlights her humble origins and her virtues (the good-natured sister, the dutiful daughter accused of shaming her family by being headstrong and independent) and how she met the rabbi Jesus (Joaquin Phoenix) and made the bold, unpopular decision to become one of his followers (the sole woman among the disciples). 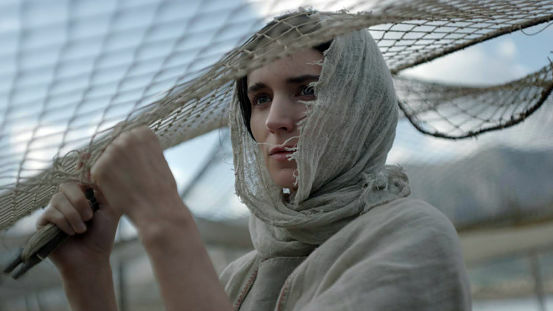 In other words, the Mary of Magdala that we encounter is a virtuous, kindhearted woman from a seaside fishing village in Judaea (circa 33 CE) who refused to be defined or imprisoned by her oppressive society. “I am not made for that life,” she admits. Meanwhile, we get lots of open country and hilltop vistas, as Jesus, Mary and the gang (including Chiwetel Ejiofor as Simon Peter) trod from village to village giving sight to the blind, healing the sick, raising the dead, converting and baptizing new believers, preaching and teaching. Seven straight! 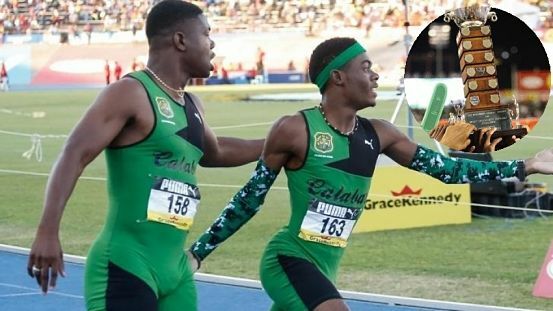 Calabar High continued their dominance of schoolboy track-and-field on Saturday, securing yet another hold on the coveted Mortimer Geddes trophy, as the curtains came down on the ISSA/GraceKennedy Boys & Girls Championships inside the National Stadium. At the end of the five-day championships, the Rabalac Lions amassed 368.50 points, ahead of Kingston College (278), Jamaica College (224.5), St. Jago (146), STETHS (95) and Wolmer’s Boys (94.5). The supergirls of Edwin Allen High made it five in a row, racking up 324 points to win over Hydel (289), Holmwood Tech (285), St. Jago High (178) and Vere Tech (105.5). Jamaica just had its final sitting of the GSAT. It will be replaced by the Primary Exit Profile (PEP) as the national placement examination in the 2018/19 academic year. Meanwhile, Minister of Education, Ruel Reid, says all students who have sat this month’s Grade Six Achievement Test will be placed in full five-year secondary-level institutions. Reid says that for the first time in the country’s history, there will be no need to place students who have taken the exam in a junior high-school’s grade-seven class. Prime Minister Andrew Holness says the North-South Highway is to be renamed the Edward Seaga Highway, in honour of our fifth prime minister. “[Mr.] Seaga was responsible for the development of downtown Kingston. He also initiated the development and expansion of Ocho Rios as a tourism destination. The North-South Highway creates that link, so it is only fitting,” Holness says. The 67-kilometre highway, constructed at a cost of US$600 million, extends from the Mandela Highway near Caymanas in St. Catherine to Mammee Bay in St. Ann. 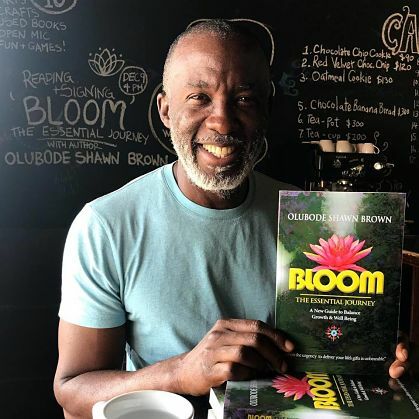 PERSONAL GROWTH: Life coach and lawyer Olubode Shawn Brown draws on two decades of experience in his field for Bloom: The Essential Journey, his self-development text, published by Banyan Tree Press. Packing 280 pages, Brown’s book explores five essential life nutrients, five life areas and offers a card deck of 25 new personality archetypes, while examining life-balancing paradigms rooted in the five elements of nature. 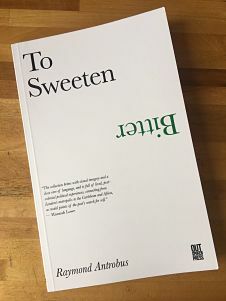 The thick text also introduces stories from the author’s own journey of self-discovery and pursuit of happiness and purpose. And he also shares conversations with clients to cap this journey of 21 guideposts. THE BEST MEDICINE: Any Jamaican writer looking for inspiration need only take a walk down the street. Patrick Newman has first-hand proof. 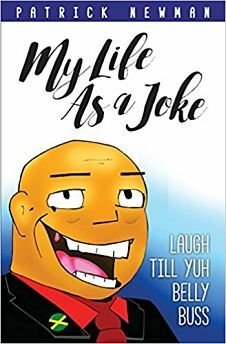 The first-time author and bonafide Jamaican uses his debut collection of short stories and vignettes, My Life as a Joke: Laugh Till Yuh Belly Buss, to share “amusing” and “thought-provoking” tales from his travels throughout Jamaica and from his days growing up in the rural parts. According to publishers Minna Press, Newman’s nearly 70 stories (“My Grandfather and His Belt”, “My Uncle-in-Law as Deacon, “The Bellevue Experience”) are filled with innuendoes, puns and humour that bring to colourful life the characters and their predicaments, while capturing customs, traditions and the general mores about what it means to be truly Jamaican. YES, COACH: "I've just always been in basketball," Matthews says of his passion for the sport. BASKETBALL is Pete Matthews’ life. 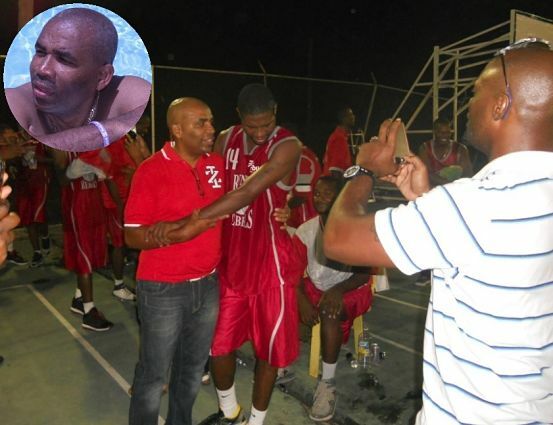 He’s not only coached at the national level; he’s served on the board of the Jamaica Amateur Basketball Association (JaBA) since the 1990s, currently in the capacity of committee member. But, by his own admission, the 55-year-old veteran coach also loves cool cars and occasional travel. As his team, the UWI Runnin’ Rebels, competes for top honours in the newly revived National Basketball League, he takes a moment to reflect. 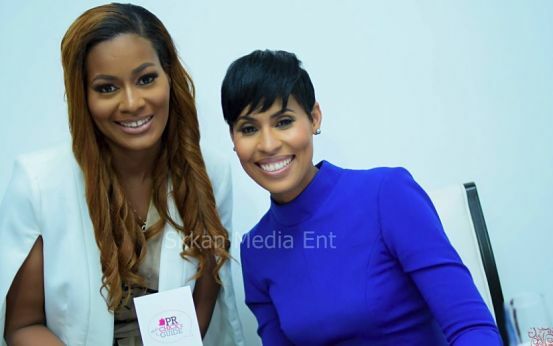 STAR FROM BIRTH: "I live, breathe and walk being an artist," says Wilson. THERE he is playing a peddler of female underwear. Another skit introduces him as a no-nonsense landlord jostling with a delinquent female tenant (played by Shanique Brown) for the rent. Yet another sketch has him giving live television commentary on West Indies cricket (opposite Chris McFarlane). 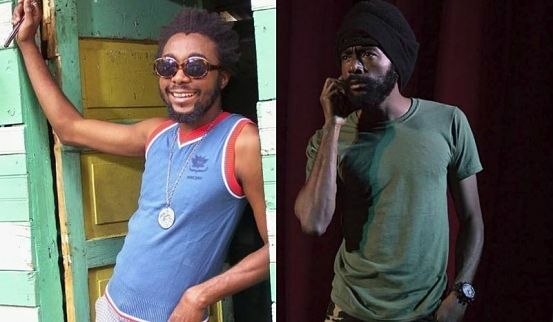 Kadeem Wilson shines, playing a handful of vastly dissimilar characters in Dahlia Harris’ hit comedy revue Dat a Gwaan Jamaica Remix, proving that he can be a part of the ensemble without dimming his own wattage. Wilson has been making a habit of stealing the spotlight, whether in stage productions or in one of those films appeared in – from Destiny to Home Again to Ghett’a Life. But we’ve seen him as the headliner. All that’s about to change. The 27-year-old is the male lead in this summer’s well-anticipated big-screen feature Sprinter, the latest directorial effort from Storm Saulter, the man who brought us Better Mus’ Come. By all accounts, the film, set in the hypercompetitive world of athletics, is poised to reveal yet another dimension to Wilson’s talents as an actor fast-tracking in his career. Making the film was quite the learning process for him, he tells us. “Looking back on the process, it was a challenge, but that was expected,” admits Wilson, who shot scenes for the movie last summer. The medium-built actor sports shoulder-length locks, and so he had some adjustments to make. “For most of my scenes I had to wear my hair in different styles to fit the particular moment the character was experiencing. I gave the hairstylist a lot of work,” he recalls, laughing. In case you haven’t heard, Will Smith’s Overbrook Entertainment is a producing partner on the project, whose cast is made up of talents hailing from the contemporary Jamaican showbiz scene (Sakina Deer, Rodney Campbell and Shantol Jackson, to name a few) and Black Hollywood (Lorraine Toussaint, David Alan Grier and Bryshere ‘Yazz’ Gray). So Wilson is in great company. Kadeem Wilson knows all about making the leap from nothing to something, from humble beginnings to evolving success. He came of age in and around the areas of Rollington Town and Bull Bay and also spent formative years in Dunkirk and Franklin Town. Alma maters Mona High and Excelsior helped prepare him for the big times, by nurturing his performing arts instincts. 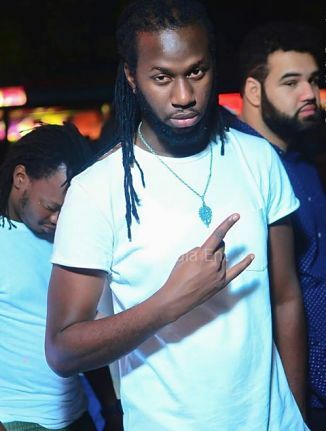 Fast-forward a decade, and Wilson has not only been earning respect and making a name for himself in film and theatre but also in dance and the recording studio, taking on the musical alter ego, Kenzic, and laying down tracks for labels like Keerob Records and Rags-to-Riches Productions. In fact, he just released the video for “Lion Heart” and visuals for the singles ‘Star from Birth” and “Brand New” are on the way. After Sprinter, Wilson (Who took home a Prime Minister’s Youth Award in 2014) has another full-length feature film to work on, but at present it’s shrouded in secrecy. “It’s at the germinal stage, so I can’t disclose any details,” he admits. REEL TALK: "As a film industry we're still very young in expressing our stories," says Creary, whose career spans stage and screen. MORE often than not when Jamaican actors go to work with foreign filmmakers, the experience leaves a lot to be desired. For Everaldo Creary, who scored a supporting role in the book-to-screen adaptation of Yardie, working with Golden Globe winner Idris Elba for his directorial debut was not just a refreshing and rewarding learning experience; Creary says it’s a chapter of his acting life he’ll always cherish. “It was awesome. 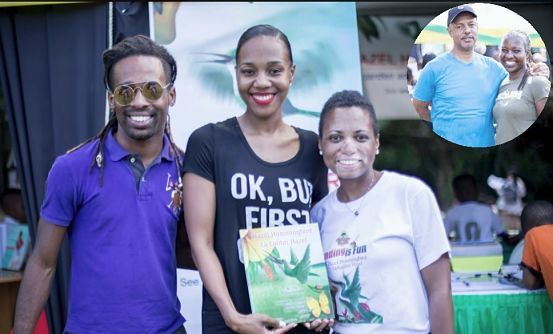 There were a lot of Jamaicans in the cast, and several of us got significant roles that actually affected the plot and had immediate effect on the leads. That doesn’t happen regularly for Jamaican actors doing film. 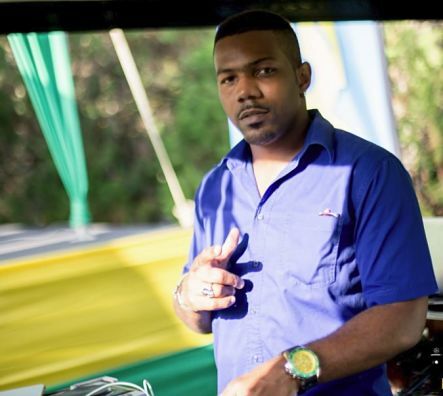 Idris put his foot down for us, and it was a pleasure working with him,” says the veteran performer, now in his 30s, whose Jamaican costars included NoMaddz brother Sheldon Shepherd and rising sensation Shantol Jackson. Creary, whose other screen credits include Better Mus’ Come and numerous short film and TV projects, was with the cast and crew in Utah earlier this year for the Sundance Film Festival, where the film was screened before a predominantly white audience and mainly white press. Creary feels some of the reviewers (who perhaps couldn’t relate to the events unfolding onscreen) didn’t really get the film, hence the largely mixed reviews. But for his money, Yardie is a first-rate cinematic achievement. “The quality of the filmmaking is what I like most about the finished product. It’s technically and visually strong,” he says. “For a gangster film, it’s very moving and very touching. 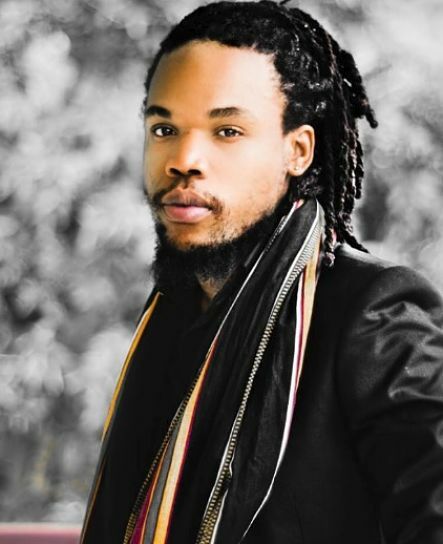 It’s not like Shottas.” It’s a huge plus, he believes, for latter-day cinema authentically reflecting our hardships as island people and the Jamaican way of life at home and in the Diaspora. In the meantime, Yardie is still doing the festival circuit run (Berlin included) and fingers are crossed that a distribution deal will get it in cinemas worldwide before the last quarter of the year. 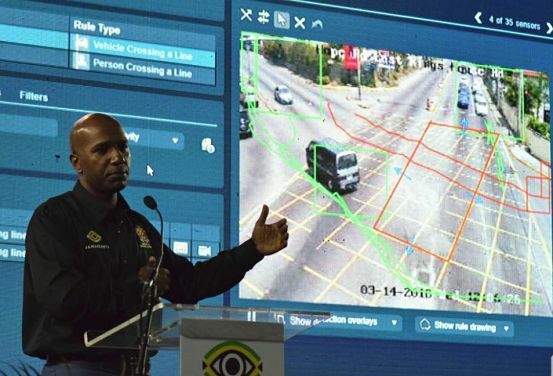 NATIONAL SECURITY: Introducing JamaicaEye (officially launched in Kingston last Wednesday by Minister Robert Montague), an islandwide network of camera-surveillance systems designed to increase the safety of all citizens and is tipped to be a massive part of the country’s crime-fighting strategy. The over 180 government cameras will monitor public spaces across the country and assist the authorities in responding to incidents, in the event of accidents, disasters or acts of criminality. Close to $200 million has reportedly been spent so far to install cameras in Kingston & St. Andrew, Montego Bay, Mandeville, Ocho Rios, May Pen and Negril. CLASS ACT: "I am yet to write my first full-length play," Reid confides. For the third time in her professional life, Dorraine Reid is working as lighting designer on a Basil Dawkins’ production – Pressure Drop, now playing at the Little Little Theatre in Kingston. But that’s just a fraction of what she’s accomplishing this season. 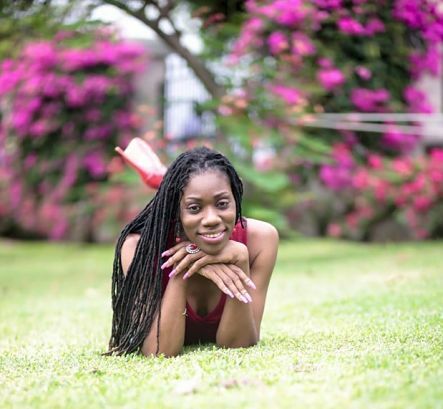 In addition to continuing her work as Head of the Drama in Education department at the Edna Manley College, this poised and passionate achiever (a Clarendon College and Western Carolina University grad, now in her 30s) just wrapped her first stint as director of a major theatrical production, helming a solid take on the provocative play Belly Woman at the Dennis Scott Theatre. She spoke with TALLAWAH. TALLAWAH: Congrats on making a successful directorial debut. What drew you to Belly Woman? Dorraine Reid: How the play was written. I was very impressed that it was written with rhyming couplets and that almost all the characters had jonkunnu names. I was very impressed by those things. TALLAWAH: What did you want audiences to take away from the experience of seeing it? Dorraine Reid: Truthfully, I hoped that they would walk away with a greater appreciation for who we are as a people – our African identity, the people who fought for us to be able to have what we have today. And just appreciation for our cultural practices, which the play explores. TALLAWAH: We were first introduced to you and your work via the Independent Actors’ Movement, but we haven’t heard from the IAM in a while. What’s the latest on the troupe? Dorraine Reid: The group is still very much active, but we have individual projects working on at the moment. There is a project in the works, but the group will decide when is the best time to bring that to the forefront. TALLAWAH: Are you pleased with what you see happening in local theatre? Dorraine Reid: Jamaican theatre is active. We see a lot of new talents coming out and saturating the landscape. So we have a good mix of those who have been there and those who are new to the industry. But, for me, theatre space and funding are two of the biggest challenges that practitioners in theatre are faced with. TALLAWAH: You’re a lecturer, lighting designer, actress, director and the list goes on. What’s left for you to accomplish? Dorraine Reid: I am yet to write my first full-length paly. But I won’t venture down that road without the right inspiration. So once the inspiration for the work comes that will direct my next course of action. 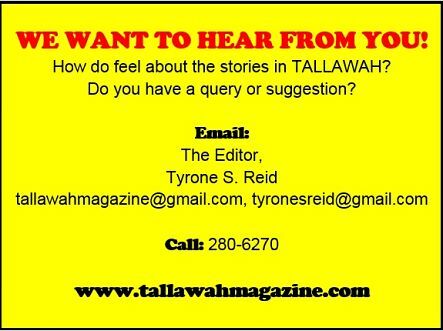 TALLAWAH: The #MeToo campaign took over Hollywood last year and recently Rev. Karen Kirlew became the first female president of the nearly 170-year-old Jamaica Baptist Union. What are your thoughts on the strides women have been making globally in recent times? Dorraine Reid: It’s a good look, and I think it speaks to the evolution of women and the evolution of society, given where we are coming from. Because women were once relegated to domestic roles in a man’s world. So what is happening speaks to the liberation of women. And men have had to acknowledge that. And it’s good inspiration for young people, especially girls. It gives them something to aspire to. TALLAWAH: What was the last good book you read? Dorraine Reid: It’s a book I read constantly: The Alchemist. It’s a good book for persons in the pursuit of their dreams, who may feel daunted and are facing obstacles. It tells you that your journey is never as you planned it. It’s about understanding the inner you – even the things that are negative about you. Each time I read it, I feel motivated. I also recommend it to my students because it’s really for anyone pursuing their dreams. SOME LIKE IT HOT: Usain Bolt wants to jazz up your meals and spice up your tastebuds! Known for his dazzling exploits on the track, the 31-year-old superstar is now making major moves in business, particularly the food industry. Bolt, whose Tracks & Records restaurant chain is spreading islandwide, now has a line of hot sauces generating buzz on the market in Australia. 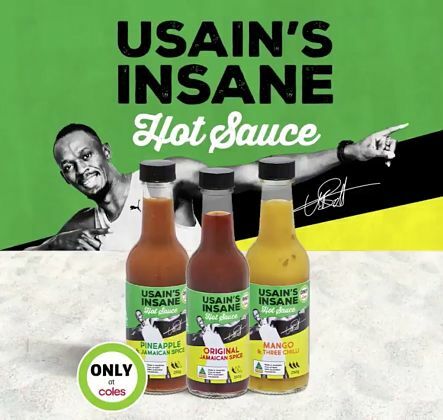 Introducing Usain’s Insane Hot Sauces, which emerged from a fruitful collaboration with Austchilli and supermarket chain, Coles, who were beyond excited to add some Caribbean flavour to their product empire. “We started working on this late last year and within a few months it was ready to go,” dishes Austchilli director Trent de Paoli. “We are dynamic and fast just like Usain.” For his part, Bolt says it was high time the Aussies experienced what they’d been missing out on. “I realized that Caribbean food was not readily available outside places like the USA and the UK,” Bolt told Courier Mail, “and I wanted to bring these special flavours to Australia.” Inspired by a Bolt family recipe, the sauces come in three vibrant flavours: original Jamaican spice, pineapple and Jamaican spice and mango and three chilli. Place your order HERE. > Last Wednesday, as the Kingston Book Festival slipped into high gear, public relations pro, certified it girl and first-time author Naomi Garrick (looking lovely in the colour purple) hosted a roomful of sisters, girlfriends and other book lovers for the launch of PR Chick’s Mini Guide: 8 Steps to Building Your Personal Brand, a step-by-step do-it-yourself handbook. (Good looking out, Naomi!) 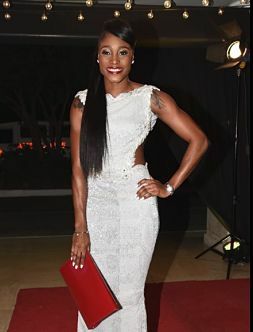 The Spanish Court Hotel-hosted ’do drew appearances by Tanya Lee, Carlette DeLeon, Terri-Karelle Reid, Patrice White, Keneea Linton-George, Catherine Goodall, NeahLis McIntosh, the Martin sisters, among several others. BE OUR GUEST: The Molynes Road-based theatre seats a minimum of 200 patrons. THE Stages Theatre in New Kingston (adjacent to the Tastee outlet on Knutsford Boulevard) had a grand opening followed by a brief run between 2013 and 2014 and then closed its doors, for undisclosed reasons, quietly exiting the showbiz scene. Financial woes and other weighty challenges forced the Pantry Playhouse to call it a day in 2016. Luke Ellington is determined that that will not happen to his latest undertaking: the new and improved Crown Playhouse. 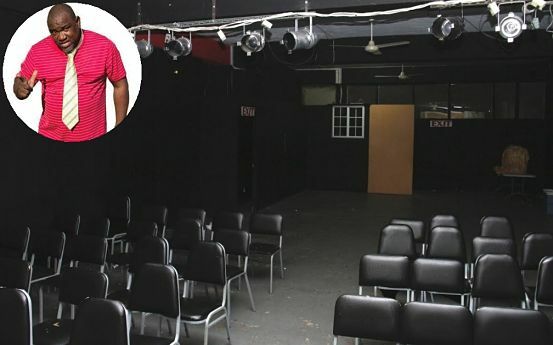 Following in the footsteps of David Tulloch with the Phoenix Theatre and Andrew Roach with the Jamaican Shopping Club Theatre, the industry veteran has taken over the reins of the Molynes Road-based theatre, embarking on an upgrade project that has resulted in a transformation of the spot into an inviting and cozy space now awaiting its first big audience. Ellington, looking to add a new chapter to Jamaican theatre history, waxes optimistic about what the renovated space will add to an industry he’s been a part of for the past 30 years and counting. “I know it can become one of the top theatre spots in Jamaica. That’s the kind of potential it has. We just need to market it properly and sell it to the wider public,” he tells TALLAWAH, as he gives us a brief tour of the facilities. Evidence of construction work (set pieces, paint jobs, stacks of chairs) is all around. The new Crown Playhouse, Ellington feels, has a lot going for it: great central location, easy access, ample parking and an interior that will enhance the overall viewing experience. While the primary aim is to have producers mount their projects from time to time and host school functions and other events (Camperdown High recently used the facilities), the Crown Playhouse will serve as the base for Ellington’s Lukington Productions, now 26 years old. That said, he wants to assure the public that his production company is in the business of putting on theatrical productions high in entertainment value and well worth your hard-earned dollars. The newly renovated space will get its first big test with the March 23 opening of the buzzworthy comedy Uptown Ghetto, which Ellington (dubbed the original ‘Maama Man’) wrote and directed. He’s urging patrons to come out in their numbers and experience a hilarious Jamaican comedy in a cozy and audience-friendly space. “Without the crowd support, the bills won’t get paid. It’s like you’re opening a new shop. You put everything in place and wait for the people to come and support. But I’m sure it will pick up. That’s how it goes in this business,” says Ellington. GAME ON: "My team is going to be unbeatable," says the icon, who will be clad in his 9.58 jersey. “IT’s my dream to make it as a professional footballer. To play against some of football’s biggest legends is going to be remarkable,” says Usain Bolt, who is gearing up to take the field in a few months at Old Trafford, the home base of his all-time favourite football club side, Manchester United. Occasion is the 2018 iteration of the Soccer Aid charity football match, set to raise much-needed funds to support the global work of the United Nations Children’s Fund (UNICEF). The match takes place on June 10. 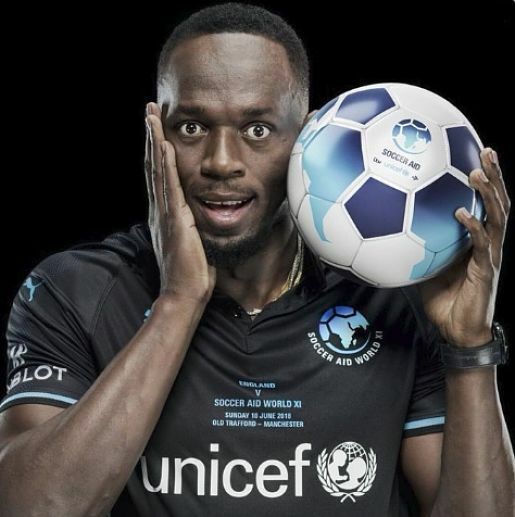 Bolt has signed on to captain the World XI side, which will go up against an England XI, captained by Robbie Williams, who has at least one confirmed teammate already – Sir Mo Farah, who has thrown down the gauntlet. He says Bolt had better bring it. “Usain has the speed but I have the stamina, so we’ll see who comes out on top at the end of the 90 minutes,” says the many-time World and Olympic champion. Bolt says he’s undaunted. “My team is going to be unstoppable,” boasts the 31-year-old sprint legend, who also wants the English side to know that, “I won’t be going easy on them.” Bolt, who recently showed off his 9.58 jersey on social media, says he has a special celebration planned for when the World XI seals the victory. Held every two years, the Soccer Aid charity match brings together celebrities and football legends from across the world to compete as a World XI and an England XI. First held in 2006, the event has already raised over £24 million for UNICEF. Will Ferrell, Maradona and Ronaldinho are some of the big names who’ve laced up their boots over the years to support the worthy cause.